This non-spicy seasoning salt saves the time and effort of pulling several spice jars out of your pantry--they're all right there in the spice jar. It goes on almost everything​ and doesn't have any specific spice or any herb that ties it to a particular dish or ethnic cuisine. From Terri - For daily cooking, I'm always reaching for the same spices: salt, pepper, onion and garlic powder, and paprika. I determined the proportions I generally used and came up with this seasoning salt to use every day. The recipe is easily halved. This is an everyday seasoning that goes with almost everything savory--no spices or herbs to slant it toward one type of cuisine or another. I use this so often I make it up in large batches. As with all seasoning and spice blends, you may reduce the amount of pepper if you prefer a milder flavor. This everyday seasoning salt can also be used as a flavor enhancer on already cooked food. Sprinkle some on freshly cooked vegetables, a steak, rice, salad, cottage cheese or whatever you choose. The uses are endless – use it before, during, and after cooking to add great flavor with little effort! As with all of the seasoning blends, I will write about (this is the first of six), these do not contain any "anti-caking" agents so the seasonings may tend to stick together. To help prevent this keep the spices in a tightly capped jar or zip-style bag in a cool, dark place, or store in the refrigerator. Never keep your spices (or herbs) on a shelf above your stove, or close to your stove. The heat and moisture will cause the flavor to dissipate, and spices will tend to "clump" even quicker. 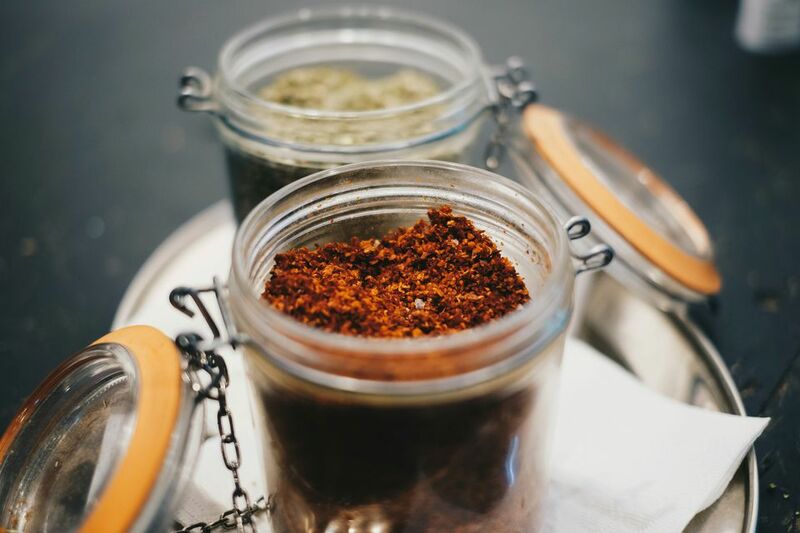 While a cool, dark pantry will help keep the seasonings free flowing and fresh, if clumping does occur, simply shake the seasoning aggressively and/or bang container on the countertop. For those times when simply shaking the container does not work, remove the cap and use a spoon or fork to stir and break up the seasoning. Warm, humid temperatures tend to accelerate the “clumping” effect of the all-natural ingredients. Make up this spice blend in large batches, transfer to attractive jars and place jars in a basket, and give as gifts. So easy, inexpensive, and always appreciated. I will be presenting a total of six different spice blends for about.com. Making up all the blends, and putting one of each in a basket with a label makes a wonderful gift that your friends will enjoy all year. And this "gourmet variety" of spices will cost less that a bottle of wine or a bunch of flowers! The six blends will all be on about.com in plenty of time for holiday gift-making.